Neglecting your organization’s cybersecurity can seriously harm your business. Investors quickly lose interest in investing in companies that have been hacked or suffer from other cyberattacks. The revelation of two massive data breaches at Yahoo®, affecting one billion users, threatened to derail the Verizon® offer to acquire the company. The deal remained intact after the purchase price was reduced by $350 million, however. Cyberthreats don’t only target massive international corporations with millions of users. Small businesses also need to protect their company and user data. According to Symantec®, the percentage of cybercrime that targets small businesses rose from 18% in 2011, to 43% in 2015. Your company can’t afford to ignore cybersafety. At some organizations, only the IT department knows the scope of potential security concerns. Or senior executives might understand the risks, but employees might not have the same level of awareness. For example, one survey found that 35% of public company board directors discuss cybersecurity during every meeting, and most respondents (80%) say they discuss the topic frequently. However, many data breaches are caused by employees who lack awareness of cybersecurity risks. It might seem that cybercriminals would be interested only in financial data, thus limiting a company’s vulnerability. However, as we have seen, every digital destination—from email to social media—creates an opportunity for an attack. Data breaches and problems with malware and ransomware can lead to lost revenue and users. 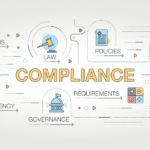 The old approach was to have the CIO focus on compliance and installing basic protections. Investors and board directors now expect senior executives, including the CEO, to understand cyberthreats, and to develop strategic plans to protect the company from risk. The Internet of Things (IoT) – A growing number of devices come ready to connect to the internet these days. Newer printers, speakers, and appliances are often vulnerable to hacking. The office coffee machine could leave your company’s network exposed and invite in cybercriminals, which isn’t a threat to be taken lightly. Last year, several large websites, like Netflix and Twitter, were taken down by an attack that took advantage of insufficiently protected IOT devices. DDoS Attacks –Distributed Denial of Service (DDoS) is a favorite attack method that cybercriminals use to wreak havoc. Security Today noted that: “the maximum size of DDoS attacks increased 174% in the first half of 2018 over the same period in 2017.” Poor or lacking protections leave organizations open to these types of threats, and it’s imperative to plan to defend against them. Social Engineering – Phishing is perhaps the best-known method of social engineering attack. 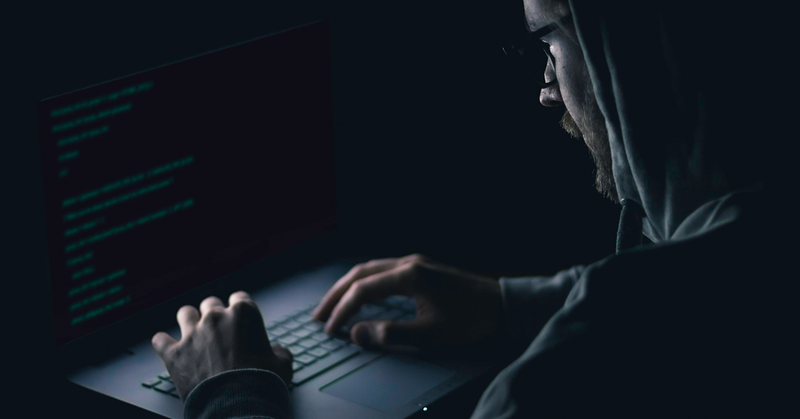 Cybercriminals trick users into giving out personal information by pretending to be a legitimate connection, colleague, or an institution such as a bank. Stories of these type of attacks happening at companies are multiplying. Large enterprises spend an average of $3.7 million annually dealing with this kind of threat. Financial theft is not the only source of loss. Employee time spent dealing with phishing attempts hurts productivity at most firms now. Mobile Malware – Business is increasingly mobile. Workers aren’t tethered to a desktop workstation and can do much of their work on laptops, tablets, or even smartphones. Often employees bring their own personal mobile devices (BYOD or Bring Your Own Device) to work. Personal devices that are not protected by enterprise-level protection pose security threats when they are connected to a company’s network. Additionally, the mix of personal and corporate applications users often have on these devices means that mobile malware increases their security risk. Insider Threats – External hackers aren’t the only cybersecurity threat. As with any form of theft, insiders are always a risk. Employees can take advantage of privileged or confidential information to access company resources and steal from or disrupt the business. Failure to comply with security procedures can lead workers to expose an organization to a cyberattack unintentionally. All businesses are vulnerable to cyberthreats. Cybersecurity attacks can cost companies money, customers, productivity, investments, opportunities, and growth. If your organization hasn’t yet created a strategic plan to anticipate and prepare for attacks, executives should consult with a security expert immediately. As the lines between home and work continue to blur, your business could be exposed to a cyberthreat through something as simple as an employee moving information between their work computer to a personal device using a USB drive or personal cloud storage. One way companies can protect against this type of security vulnerability is by using safe file transfer software like the SolarWinds® Serv-U® Managed File Transfer (MFT) Server. Serv-U MFT Server can help protect your network and data, whether employees are sharing files internally or with external business partners. Organizations can’t ignore the potential damage cyberattacks can cause. Employees at all levels must understand IT security plans and procedures. If your company doesn’t have a strategic plan prepared, cyberthreats will kill your business growth.